These rule changes must be reflected in your firm’s complaint handling processes. In the targets staff are measured on, in the correspondence that goes out and the reports that are compiled for submission to the FCA (see below* for a summary of the changes). As firms grappled with the implications, the FCA found it had to give them longer to get systems in place to comply. The original plan would have required firms to start collecting new complaints data from January 1st 2016, however this was amended so that the new rules now cover reporting periods starting on or after 30 June 2016 (FCA Handbook Notice December 2015). Some have found that where a spreadsheet based system sufficed in the past, it made sense to implement complaints management software to manage the increased reporting, communication and categorisation requirements. Others have taken the opportunity to revisit and improve outdated complaints handling systems. Skipton Financial Services for example were quick off the mark. Having identified the need for a new system, they implemented Workpro complaint management software from CAS at the end of 2015. Skipton and Brightside are ready to meet the rule changes on June 30th. But it is not too late for others. If you have left it to the last minute or find come July that your old system is not coping, don’t worry! A system like Workpro is available off the shelf as a cloud hosted (or onsite if you prefer) service. Minimal tweaking to reflect your business terminology (e.g. to automatically map your product names to FCA product categorisations) is all that is required and you can be up and running in no time. Workpro complaints handling software has been designed to help financial services companies meet their complaints handling obligations. It takes the pressure off implementing the rule changes as it takes the user through standard processes to ensure the rules are followed. By installing Workpro, firms can seize the chance to improve their complaints handling processes. Better complaints handling: happier customers. A win-win situation for both consumers and the financial services sector. 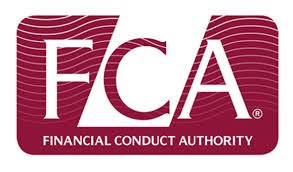 FCA Policy Statement PS15/19 comes into force on the 30th June 2016. From that date firms will have longer to resolve complaints more informally (3 business days instead of one), however they will also be obliged to report to the FCA every complaint received (previously it was only complaints that took longer than a day to resolve). There is also a new requirement to issue a Summary Resolution Communication following the resolution of every complaint handled within three days - to raise complainant awareness of their right to take their complaint to the Financial Ombudsman Service. The aim is to make the process quicker and less costly, while at the same time promoting increased transparency. For more information, you can download this FCA complaints handling briefing, which covers the new rules.